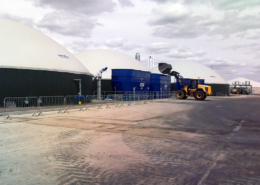 HoSt has broad experience in supplying industrial biogas plants. 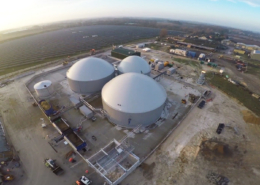 In these industrial biogas plants, organic waste currents are digested without the addition of manure. 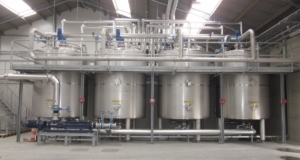 We have supplied systems for processing slaughterhouse waste, industrial and municipal primary and secondary sludge, unpacked food products, and industrial food products. 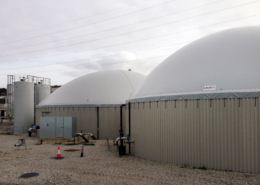 Go to our project page for all industrial biogas plant projects. 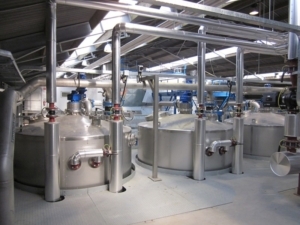 Characteristic for the industrial plants is the importance of great stability. 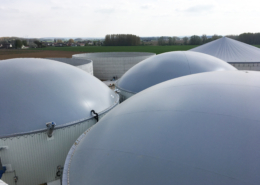 When comparing to conventional co-digestion plants, industrial waste feedstock digests fast and can result in a bigger risk to process stability with the formation of foam. HoSt frequently uses central agitators in industrial plants to enhance optimal mixing thereby maintaining process stability. 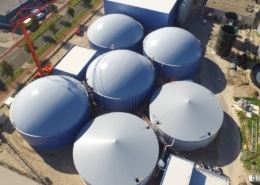 The centralized mixed digesters have a very low own electricity consumption. The heat demand is low due to total isolation and the retention time is very short. 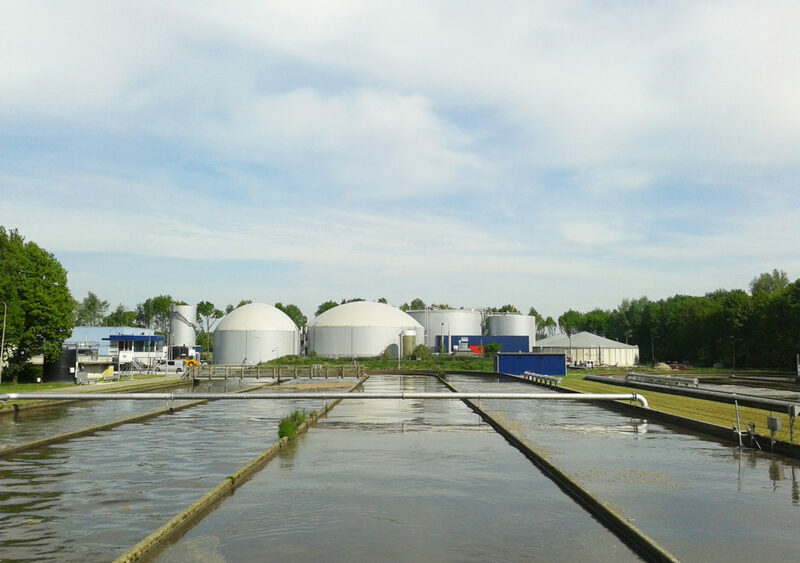 To improve the efficiency of the degradation of organic matter, thermic preparation (Thermal Pressure Hydrolysis) is used. In the TPH process, the material is heated to 140-160°C (depending on the input) and then flashed. With TPH, gas productions can increase up to 40%. A combination of thermophilic and Mesophilic digestion is also a proven technology of HoSt which increases the gas output. In case of heat shortage (for example in case of digestion of low-quality streams), the heat usage is reduced for an optimal heat recovery and for minimizing the heat loss. 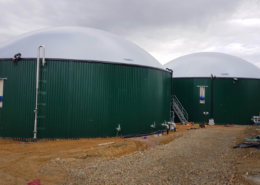 AD plants can be equipped with a combined heat and power plant that converts biogas to electricity and heat, or with a system for upgrading biogas to natural gas quality. Due to the low own heat demand (direct solid feeding + high dry solid in digester), more heat is available for other purposes. 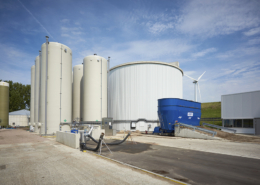 It is also possible to provide pre-storage, after-storage or after-treatment of digestate. 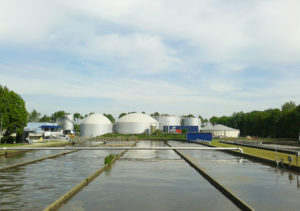 In case animal waste currents are digested, a sanitation step can be added to the system. HoSt also provides pre-treatment equipment for e.g. reducing particle size of incoming streams. 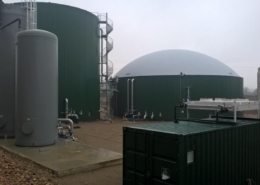 HoSt has extensive experience in the engineering and construction of industrial anaerobic digestion plants for a large range of companies and sectors. Depending on the input material available, HoSt can give advice about the best option for an installation. Contact us for advice and information.